I am a little obsessed with journaling and telling the story. and it is what inspires and motivates me still today. has been my friend Ali Edwards. She is real and authentic. She inspires me to continue to tell the story. her new workshop of HELLO STORY with Ali. If you want to win the 12 week workshop... just post to the blog post in the comment section and share it on your facebook, instagram or twitter that I am giving away a full 12 week spot in Ali's workshop. I would really love to support Ali on this and hope you will help me to spread the word. I loved the projects that Sandra selected. They are all very technique and hands on projects. 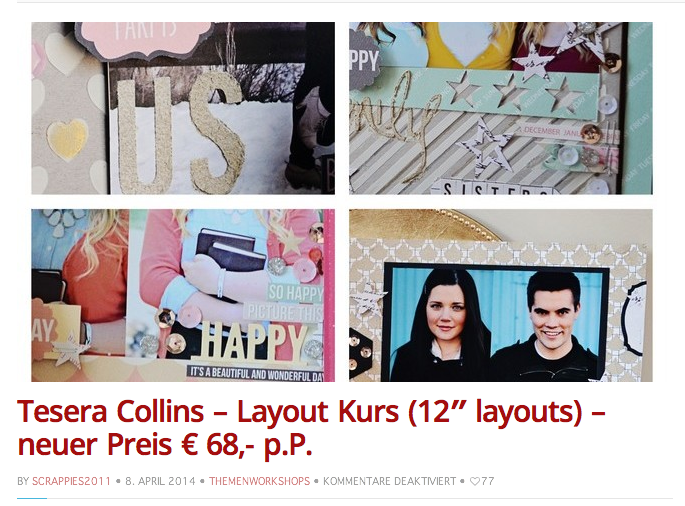 We are creating layouts with my new modeling paste and stencils, and mixing it to show how to create beautiful pages with them. I know we have at least six pages and so many supplies that there is going to be lots of supplies to create cards and more. All prices include generous workshop kits, light snack and beverages. Classes to be held in the community 'Buergerhaus' in Eching, north of Munich, south Germany. This is my DAILY STORIES clipboard project. sell them after I am done teaching them). That's right two projects in ONE class. PS the boxes went out today for Germany. I am really looking forward to teaching in Portugal and Munich & Frankfurt Germany next month. Wow Teresa this is just wonderful. I would love to win this class, thanks for doing this. Wow this is great, I love it. Important to tell a story! I take a chance, who knows??. Thanks for this opportunity. 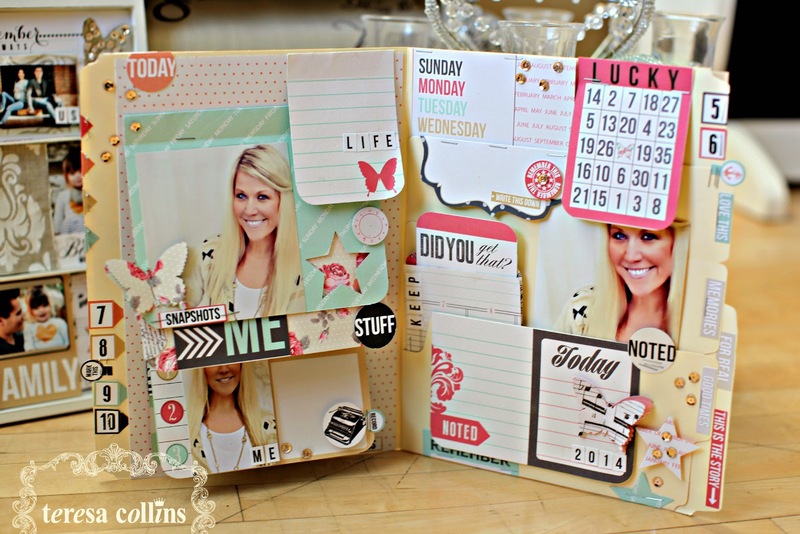 Winning this... Like you, I think journaling makes al the difference. How many pictures we have of family that we don't know the story behind, because there's no one to tell or to tell us who the people in the pictures are. You are one of my inspirations. Safe trip. Would love to win Ali's class! Thanks Theresa! What a great class. Thank you for the chance to win! Would love to win this! Love Ali Edwards. I too love to tell the story of my life, I just am not very good at it. I would love Ali Edwards class to help me! Thanks for the opportunity to win Teresa! Wow Teresa you are a giver!!! 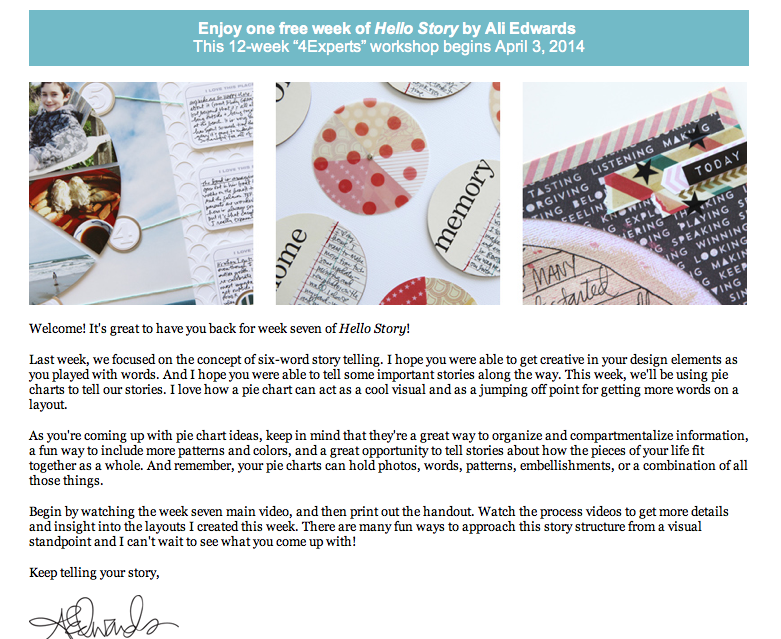 Thank you for sheering what you enjoy the best and the opportunity to win 12 day workshop with Ali Edwards. A workshop to learn more of art journaling and telling our story is very well need at this time in my life. Many of my layout are missing the documentation and years pass and you forget the details. What a marvelous thing! Thanks for the opportunity to win. What a great class. Would love to win. So many valuable tips + tricks. I love to write and would really enjoy a spot in Ali's class! I've taken her classes before and they are awesome. Thanks so much for the chance to win this awesome prize!!! Would love to win that is one thing I really need to learn to do is journal, and write so that I have something to leave my family and future generations thank you for the chance to win. Journaling is also my favorite part and main reason for scrapbooking!! I just LOVE how much you pour your heart into your crafting and I have always admired that about you and Ali Edwards both - focusing on conveying the honest feelings of the memories in the storytelling. So generous for you to offer this course with Ali Edwards! I have been interested in her Hello Story for a long time now and appreciate the chance to win!! The Hello Story class looks amazing! Thank you for sharing the opportunity to win a spot. And congrats on Germany! do you have any clipboard kits for sale? I would love to buy one! Thanks! Congrats on teaching in Germany - looks like an awesome class! Ali's Hello Story sounds like just what I need to get my creative juices flowing ... thanks for the chance to win a spot! this class looks fantastic, i would love to win a spot, thanks for the chance to win ! You are awesome! I have always wanted to take a class but have not been able to afford it! Hope you have fun in Germany! What an awesome giveaway! I could really use this because words are not my friends. Thanks for the giveaway!! Looks like a great class! Thank you for the giveaway. 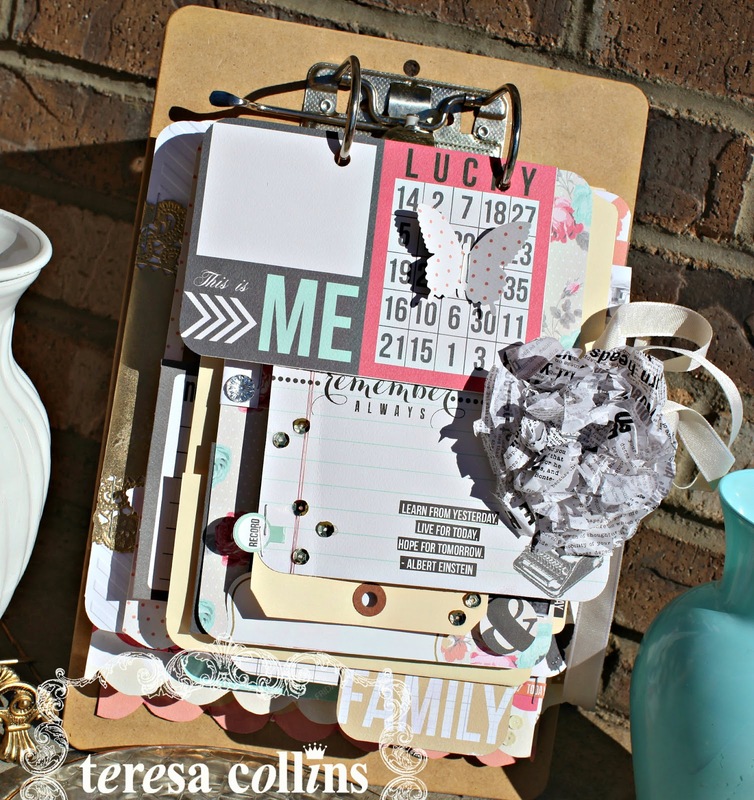 I could really use this class to get me scrapbooking again as I have been in a funk for the last couple of months. Great Class. Thanks for the chance to win! I love Ali's work!! I love Ali, and would love to learn from her. Thank you for the chance to win! I'm so good at writing the stories in my head, but can't find the words when I get pen and paper. Thanks for the chance for some inspiration and instruction! I would. so much from this class, I love Ali's style and how she documents the stories of her life so well. Thanks for the chance to win. Thanks for the chance to win...I love Ali's style of documentation. Would love to win a spot in Ali's class! LOVE HER! Oh, Teresa, I would be soooo happy to win this class. Thanks for the opportunity. I'd love to take a class from Ali! Thanks, Teresa! wonderful inspiration and would love to take this class with Ali!! Thank you fro the chance Teresa! Best of luck! I would love a chance to win this awesome class!! Thanks for the opportunity!! I would love the opportunity to win this. Love Ali's journaling. Thanks Teresa for the opportunity. Thanks for the opportunity to win a spot in this great class. I've been looking into it. What a great opportunity to win a spot in Ali's class. Thanks for the chance to win! I am "not-so-much-with-the-words,"so this class by Ali E. would be perfect for me. Thanx for the chance to win. Just curious...has the winner been announced yet? I can't seem to find it. Ali's class looks fantastic!! I'd love to take it!